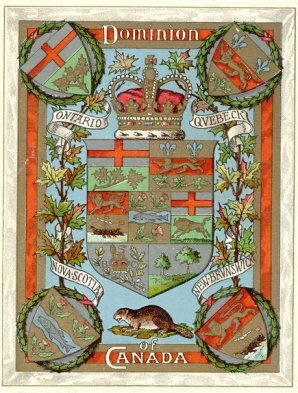 ^ a b "Provinces and Territories". Government of Canada. 2013. Archived from the original on February 9, 2010. https://web.archive.org/web/20100209021646/http://www.canada.gc.ca/othergov-autregouv/prov-eng.html. Retrieved August 6, 2013. ^ Place name (2013). "Census Profile". Statistic Canada. http://www12.statcan.gc.ca/census-recensement/2011/dp-pd/prof/index.cfm?Lang=E. Retrieved August 6, 2013. ^ a b Reader's Digest Association (Canada); Canadian Geographic Enterprises (2004). The Canadian Atlas: Our Nation, Environment and People. Douglas & McIntyre. p. 41. ISBN 978-1-55365-082-9. https://books.google.com/books?id=vDR7hrnO1aYC&pg=PP41. ^ a b "Population and dwelling counts, for Canada, provinces and territories, 2016 and 2011 censuses – 100% data". Statistics Canada. February 6, 2017. http://www12.statcan.gc.ca/census-recensement/2016/dp-pd/hlt-fst/pd-pl/Table.cfm?Lang=Eng&T=101&S=50&O=A. Retrieved February 8, 2017. ^ a b c d e f g "Land and freshwater area, by province and territory". Statistics Canada. 2005. Archived from the original on May 24, 2011. https://web.archive.org/web/20110524063547/http://www40.statcan.gc.ca/l01/cst01/phys01-eng.htm. Retrieved August 4, 2013. ^ Coche, Olivier; Vaillancourt, François; Cadieux, Marc-Antoine; Ronson, Jamie Lee (2012). "Official Language Policies of the Canadian Provinces". Fraser Institute. Archived from the original on April 28, 2012. https://web.archive.org/web/20120428174237/http://www.fraserinstitute.org/uploadedFiles/fraser-ca/Content/research-news/research/publications/official-language-policies-of-canadian-provinces.pdf. Retrieved August 6, 2012. ^ a b c d "Guide to the Canadian House of Commons". Parliament of Canada. 2012. http://www.parl.gc.ca/About/Parliament/GuideToHoC/index-e.htm. Retrieved August 6, 2013. ^ "Northwest Territories Act". Department of Justice Canada. 1986. http://laws-lois.justice.gc.ca/eng/acts/N-27/index.html. Retrieved March 25, 2013. ^ "Yukon Act". Department of Justice Canada. 2002. http://laws.justice.gc.ca/eng/acts/Y-2.01/FullText.html. Retrieved March 25, 2013. ^ Department of Justice Canada (1993). "Nunavut Act". http://laws.justice.gc.ca/en/N-28.6/index.html. Retrieved January 27, 2007. ^ "OCOL – Statistics on Official Languages in Yukon". Office of the Commissioner of Official Languages. 2011. http://www.ocol-clo.gc.ca/html/yukon_e.php. Retrieved August 6, 2013. ^ "Nunavut's Official Languages". Language Commissioner of Nunavut. 2009. Archived from the original on August 14, 2013. https://web.archive.org/web/20130814112846/http://langcom.nu.ca/nunavuts-official-languages. Retrieved August 6, 2013. ^ a b Ajzenstat, Janet (2003). Canada's Founding Debates. University of Toronto Press. p. 3. ISBN 978-0-8020-8607-5. https://books.google.com/books?id=73gRch5cXZ4C&pg=PA3. ^ a b Olson, James Stuart; Shadle, Robert (1996). Historical Dictionary of the British Empire: A-J. Greenwood Publishing Group. p. 538. ISBN 978-0-313-29366-5. https://books.google.com/books?id=L-X-XYB_ZkIC&pg=PA538. ^ a b Gough, Barry M. (2010). Historical Dictionary of Canada. Wilfrid Laurier University. pp. 141–142. ISBN 978-0-8108-7504-3. https://books.google.com/books?id=z4xK6CasigkC&pg=PA141. ^ Atlas of Canada. "Territorial evolution". Archived from the original on February 2, 2007. https://web.archive.org/web/20070202135304/http://atlas.nrcan.gc.ca/site/english/maps/historical/territorialevolution/1912/1. Retrieved January 27, 2007. ^ "Confederation Rejected: Newfoundland and the Canadian Confederation, 1864–1869: Newfoundland and Labrador Heritage". Newfoundland and Labrador Heritage. 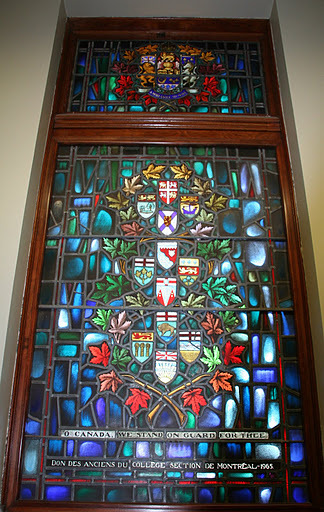 2000. http://www.heritage.nf.ca/law/debate.html. Retrieved July 29, 2013. ^ Clarke, Sandra (2010). Newfoundland and Labrador English. Edinburgh University Press. p. 7. ISBN 978-0-7486-2617-5. https://books.google.com/books?id=moDVp5TTpgcC&pg=PA7. ^ Friesen, John W.; Harrison, Trevor W. (2010). Canadian Society in the Twenty-first Century: An Historical Sociological Approach. Canadian Scholars' Press. p. 115. ISBN 978-1-55130-371-0. https://books.google.com/books?id=EVGDUAP3LjAC&pg=PA115. ^ Blake, Raymond Benjamin (1994). Canadians at Last: Canada Integrates Newfoundland As a Province. University of Toronto Press. p. 4. ISBN 978-0-8020-6978-8. https://books.google.com/books?id=-bv8AVgdK1UC&pg=PA4. ^ Shelley, Fred M. (2013). Nation Shapes: The Story behind the World's Borders. ABC-CLIO. p. 175. ISBN 978-1-61069-106-2. https://books.google.com/books?id=5qlXatHRJtMC&pg=PA175. ^ Laxer, James (2010). The Border: Canada, the US and Dispatches From the 49th Parallel. Doubleday Canada. p. 215. ISBN 978-0-385-67290-0. https://books.google.com/books?id=MjVlI8V0i9AC&pg=PT215. ^ Cukwurah, A. Oye (1967). The Settlement of Boundary Disputes in International Law. Manchester University Press. p. 186. GGKEY:EXSJZ7S92QE. https://books.google.com/books?id=xHm7AAAAIAAJ&pg=PA186. ^ Atkinson, Michael M.; Marchildon, Gregory P.; Phillips, Peter W. B.; Béland, Daniel; Rasmussen, Kenneth A.; McNutt, Kathleen (2013). Governance and Public Policy in Canada: A View from the Provinces. University of Toronto Press. p. 19. ISBN 978-1-4426-0493-3. https://books.google.com/books?id=rkdktaOtprEC&pg=PA19. ^ Nuttall, Mark (2012). Encyclopedia of the Arctic. Routledge. p. 301. ISBN 978-1-57958-436-8. https://books.google.com/books?id=LcucDSk4w3YC&pg=PA301. ^ Organisation for Economic Co-operation and Development (2002). Oecd Territorial Reviews: Canada. OECD Publishing. p. 16. ISBN 978-92-64-19832-6. https://books.google.com/books?id=i2EwpKLDNIEC&pg=PA16. ^ Waldman, Carl; Braun, Molly (2009). Atlas of the North American Indian. Infobase Publishing. p. 234. ISBN 978-1-4381-2671-5. https://books.google.com/books?id=P2HKD9PgC6wC&pg=PA234. ^ McIlwraith, Thomas Forsyth; Muller, Edward K. (2001). North America: The Historical Geography of a Changing Continent. Rowman & Littlefield. p. 359. ISBN 978-0-7425-0019-8. https://books.google.com/books?id=8NS0OTXRlTMC&pg=PA359. ^ Mahler, Gregory S. (1987). New Dimensions of Canadian Federalism: Canada in a Comparative Perspective. Fairleigh Dickinson Univ Press. p. 86. ISBN 978-0-8386-3289-5. https://books.google.com/books?id=q4g0d98vpp0C&pg=PA86. ^ a b Peach, Ian (2007). Constructing Tomorrows Federalism: New Perspectives on Canadian Governance. Univ. of Manitoba Press. p. 52. ISBN 978-0-88755-315-8. https://books.google.com/books?id=K8VkyxvK1VAC&pg=PA52. ^ Maclure, Jocelyn (2003). Quebec Identity: The Challenge of Pluralism. McGill-Queen's Press – MQUP. p. 162. ISBN 978-0-7735-7111-2. https://books.google.com/books?id=rDq-VVN4XtcC&pg=PA162. ^ Tidridge, Nathan (2011). Canada's Constitutional Monarchy: An Introduction to Our Form of Government. Dundurn. p. 281. ISBN 978-1-4597-0084-0. https://books.google.com/books?id=JvGsvHsAtDgC&pg=PA281. ^ Pinto, Laura Elizabeth (2012). Curriculum Reform in Ontario: 'Common-Sense' Policy Processes and Democratic Possibilities. University of Toronto Press. p. 325. ISBN 978-1-4426-6158-5. https://books.google.com/books?id=4DYswZZ5gPIC&pg=PT325. ^ Barnhart, Gordon (2004). Saskatchewan Premiers of the Twentieth Century. University of Regina Press. p. 7. ISBN 978-0-88977-164-2. https://books.google.com/books?id=lOX4Cal-54EC&pg=PR7. ^ Zellen, Barry Scott (2009). On Thin Ice: The Inuit, the State, and the Challenge of Arctic Sovereignty. Lexington Books. p. 54. ISBN 978-0-7391-3280-7. https://books.google.com/books?id=Syskcmi-5XMC&pg=PA54. ^ Tidridge, Nathan (2011). Canada's Constitutional Monarchy. Dundurn. p. 94. ISBN 978-1-55488-980-8. https://books.google.com/books?id=KAvtMxqSDncC&pg=PA94. ^ Pike, Corinna; McCreery, Christopher (2011). Canadian Symbols of Authority: Maces, Chains, and Rods of Office. Dundurn. p. 183. ISBN 978-1-4597-0016-1. https://books.google.com/books?id=8x_k6AR1_IUC&pg=PT183. ^ a b Cross, William (2011). Political Parties. UBC Press. pp. 17–20. ISBN 978-0-7748-4111-5. https://books.google.com/books?id=3d9G8yUG-9QC&pg=PA17. ^ Gagnon, Alain-Gustave (2000). The Canadian Social Union Without Quebec: 8 Critical Analyses. IRPP. pp. 209–210. ISBN 978-0-88645-184-4. https://books.google.com/books?id=97a8-s131u0C&pg=PA209. ^ a b Wilson, John (2012). Failed Hope: The Story of the Lost Peace. Dundurn. p. 38. ISBN 978-1-4597-0345-2. https://books.google.com/books?id=QgwtimQ_C-AC&pg=PA38. ^ "Design and Construction of the Vimy Ridge Memorial". Veteran Affairs Canada. August 8, 1998. http://www.vac-acc.gc.ca/remembers/sub.cfm?source=Memorials/ww1mem/Vimy/vmemory#one. Retrieved July 20, 2007. ^ Nicholson, Norman L. (1979). The boundaries of the Canadian Confederation. McGill-Queen's Press – MQUP. pp. 174–175. ISBN 978-0-7705-1742-7. https://books.google.com/books?id=Ek7cloNk3E8C&pg=PA174. ^ "Northern territories 'eventually' to be given provincial status". CBC News. November 23, 2004. http://www.cbc.ca/canada/story/2004/11/22/provinces041122.html. Retrieved January 27, 2007. Brownsey, Keith; Howlett, Michael (2001). The Provincial State in Canada: Politics in the Provinces and Territories. University of Toronto Press. ISBN 978-1-55111-368-5. https://books.google.com/books?id=j3Ky0-JAAbYC&pg=PP1. Moore, Christopher; Slavin, Bill; Lunn, Janet (2002). The Big Book of Canada: Exploring the Provinces and Territories. Random House Digital, Inc. ISBN 978-0-88776-457-8. https://books.google.com/books?id=0Dmi_sb_ufgC&pg=PA1. Tomblin, Stephen (1995). Ottawa and the Outer Provinces: The Challenge of Regional Integration in Canada. James Lorimer & Company. ISBN 978-1-55028-476-8. https://books.google.com/books?id=mUnFSlFnGZUC&pg=PR1. This page uses content from the English language Wikipedia. The original content was at Provinces and territories of Canada. The list of authors can be seen in the page history. As with this Familypedia wiki, the content of Wikipedia is available under the Creative Commons License.